Website Design & Marketing Done Right! Today, your business website is often the first place people visit before deciding whether to contact you or not. It’s now up to you to decide how you want to present your business for that first impression. 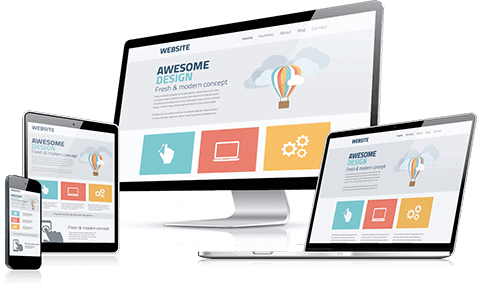 If you want to set up your website for that great first impression, Minnesota web design can help! Call us today at (507) 581-9451. How many times have you visited a website that looked good, but the content was all about their business and not enough information on how they could help solve your needs as a potential customer? We call those “brochure websites” because they are easily created with generic content and an outdated marketing approach. In this digital age, that type of website is pretty much a digital form of the traditional paper brochure, and how many people pay attention to a brochure these days? Today, in order to capture the attention of customers, you need the kind of website that very quickly provides answers to what your potential customers are searching for. Because your ultimate business goal is for customers to contact you for products or services, you need an effective website, not just an attractive website. 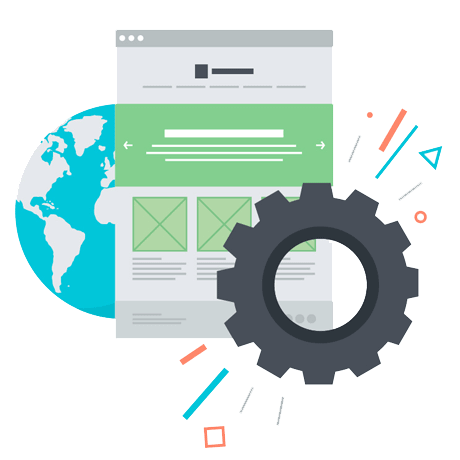 At Minnesota web design, we build results-driven websites for clients who want to see their investment generate traction. If you want to learn more about how we can help your business, call us today at (507) 581-9451 for a free consultation. A dedicated professional on our team will take the time to learn about your business, goals and target audience before providing a website design recommendation that will help your site effectively convert visitors into customers. Together, we build the website for Your Customers! We research the keywords that your customers will most likely use on Google.com when searching for products and services related to yours. Next, we optimize the best of those keywords intelligently on your website to help search engines index your web pages accurately. Once the website has been completed and is working for you online, we will coach you on how to make most of the changes that might be needed for your website content. This allows you to have maximum control over your website while saving money on routine maintenance and revisions. We also embed Google Analytics onto your website for you, so you can track your site’s web traffic and performance. Once you see real results from our initial work and want to bring your website marketing campaign to the next level, our team of skillful digital marketers is here to guide you every step of the way. With a decade of experience in the website design and marketing industry, we are the virtual team that can help you gain customers and minimize your overhead costs. Our mission is to help you navigate and manage the challenges that real estate agencies face. We live and work in a time of considerable changes, reflected in the ever-changing landscape of an Internet-driven by powerful search engines such as Google and Bing, and deeply influenced by social media, such as Facebook, Twitter, LinkedIn, etc. Smartphones have been outselling desktop and laptop computers for a while now, and people are connected around the globe, around the clock, and on the go. People are constantly searching for answers and information regarding the products and services they need. The good news is that there is an opportunity in challenge and change. Our web design and digital marketing team can help you capture opportunities and establish a strong presence online. More than ever, making the Web work for you requires expertise with emerging technologies. We have the tools and the experience to use them wisely for your internet marketing success and growth. Contact us for further details on how we can help your website produce greater results for your business. As a grassroots, non-profit organization with a limited budget but big dreams, we initially found it extremely difficult to find a website developer who was able to both grasp and implement our vision. WebDesignValley not only understood our goals and objectives for both the design and structure of the website, but their in-depth technical ability and creative skill allowed us to launch an interactive and unique website that made it appealing to our current and future donors and volunteers. Since the launch of the new design, we are getting only positive feedback from our users. WebDesignValley developed a site well beyond our expectations." I can't say enough good things about my experience with Phong and the very service minded organization, WebDesignValley. They have created the perfect website that speaks for itself. More importantly, they did it with accuracy, speed and incredible service. Phong was prompt in answering email and phone messages. He was very clear and educational when explaining the services his organization offers, and his follow up was amazing. This kind of service is seldom seen in business's these days. Best of all, we have seen tremendous growth in our organization since WebDesignValley renovated our web site. People who visit always comment about the great website, that it's very informative, attractive, and easy to use."